Young Producers is a new project for young people who have taken part in Making Tracks, supported by the Arts Patron Trust. 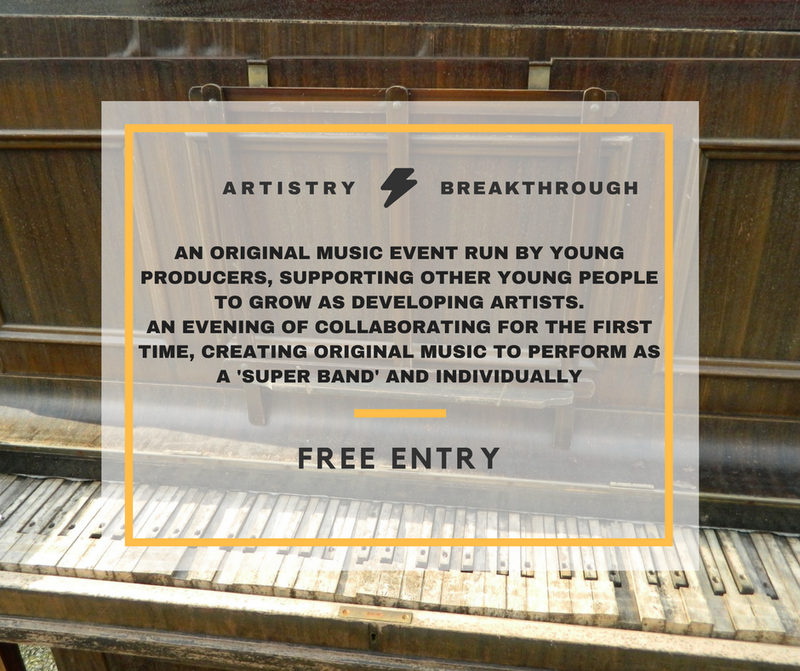 Our first 2 Young Producers are collaborating to put on a gig involving other young people and will be blogging about the process. We’re all so excited to be running this progression route for the first time with Helen and Johnny. An evening of eight performers/ artists collaborating for the first time creating original music to perform as a ‘super band’ and individually.